It’s now a norm for families or big groups to require a comfortable cabin space with ample luggage space for your family or client whenever you are travelling. MaxiCABooking SG has just the right vehicle for you if you are coming to Singapore for holiday or business trip. We have our 7 seater maxicab and 9 seater or 13 seater minibus that will be the right choice for you. 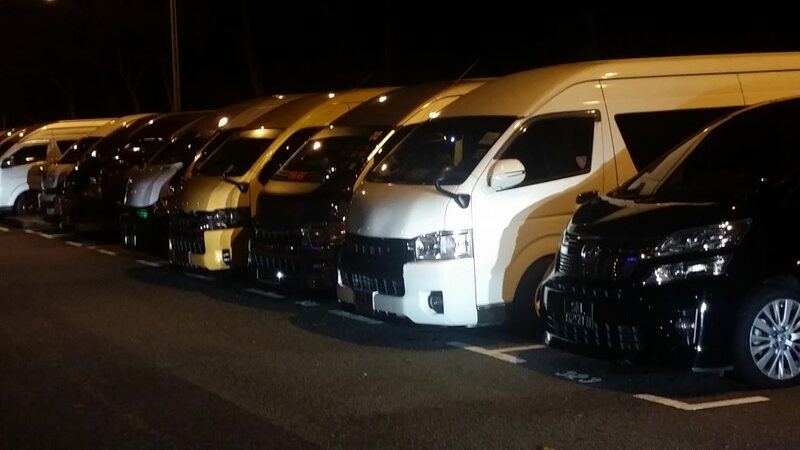 Travelling in a maxicab or minibus is one of the most chosen choice here in Singapore be it for arrival, departure, transfers or even hourly disposal bookings. To top if off, booking a vehicle through us at MaxiCABooking SG will keep you away from the long queues to get a vehicle. All you need is a mobile phone and we are accessible to you via multiple platforms like Whatsapp, SMS, Online Website, Phone call etc. Our drivers are also professionally trained to ensure that you have a pleasant and enjoyable trip here in Singapore – worry free! Apart from that, we at MaxiCABooking SG also provides other type of transport to suit your liking. We have various fleets from 4 Seater Executive Limousine Cab, 6 Seater Limousine, 7 Seater Maxi Cab, 9 Seater Maxi Cab, 13 Seater Minibus, 24 Seater Coaster and the 44 Seater Coach. We will basically ensure that you travel around Singapore with no difficulties. So why wait? Book with us at now at MaxiCABooking SG as your preferred transport provider and choose from our wide range of fleets for you ideal choice of transport here in Singapore. Save money and enjoy a safe ride to any destination. It is our goal to help you travel to your destination comfortably and on time. With all of our Maxi Cab Services, we assure you will not be disappointed by what we have to offer. It is all about having the right amenities and style for the right occasion. Speak with a customer service representative and get the questions answered as well as your reservation set for you outings. This entry was posted in maxi cab, Mini Bus and tagged maxi cab 13 seater, maxi cab 6 seater, maxi cab 7 seater, maxi cab 9 seater, mini bus 10 seater, mini bus 12 seater. Bookmark the permalink.